The Lawrence County Central Court is a criminal court facility where all Preliminary Hearings are held for the county. All criminal actions in Lawrence County must be brought before the Central Court. All information regarding criminal cases can be found at https://ujsportal.pacourts.us/. Hearings for Central Courts are open to the public and are help every Tuesday, Wednesday, and Thursday at 9:30 a.m. This is not the courthouse, if you are trying to reach the courthouse, please call 724-658-2541. 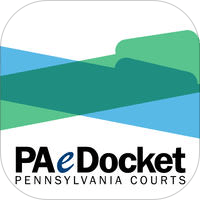 The PAeDocket app is available on both the iPhone and iPad. The app allows mobile users to perform quick and easy searches from their devices for publicly accessible cases from magisterial district courts, common pleas courts and appellate courts. The app provides a basic summary of the case, as well as more detailed case information. Do I need an attorney to represent me at my preliminary hearing? It is strongly suggested that a defendant be represented at the time of his/her hearing. A defendant may also represent himself or herself pro se. The Public Defender’s phone number is (724) 656-1900. You can make an appointment with them and they will determine if you qualify for their services or not. All information can be obtained on the UJS Portal https://ujsportal.pacourts.us/ or by calling the district justice for which the case originated. The Lawrence County Central Court address is 202 Milton Street, New Castle, PA 16101. We are right next to the Lawrence County Jail. We have a brick building and have garages connected to it.